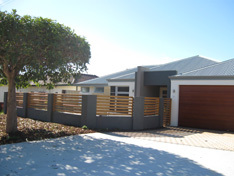 The owners of this newly built home wanted a variety of differently themed gardens to make up their landscape. 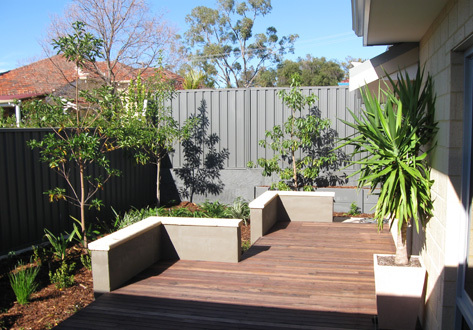 The verge is a low maintenance native garden, the front yard has a small lawn surrounded by small trees to create a pleasant outlook from the home office. 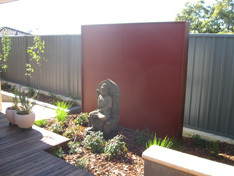 The central courtyard with an Asian theme is viewed from inside the home by floor to ceiling windows on three sides. 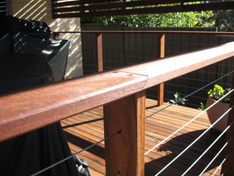 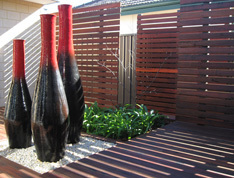 Horizontal Jarrah screens provide privacy to the courtyard. 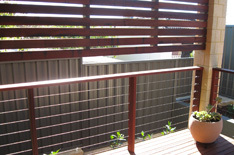 The rear garden is made for entertaining - A large timber deck spans right across the property with large areas for outdoor furniture and even has built-in seating walls. 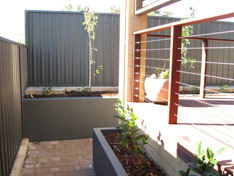 Garden lighting throughout the garden gives the garden a whole new life and feel after the sun goes down.